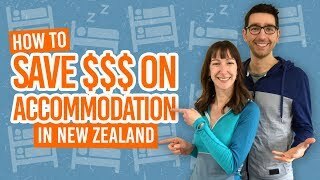 When backpacking in New Zealand, the common consensus is that getting a Prepay SIM or a Prepay Plan are the best options. Unlike in other countries, Prepay Plans are incredibly popular even with the locals in New Zealand. Why? Just continue down this listicle to find out the benefits of choosing a prepay phone plan in New Zealand! “Prepay” is a type of phone plan where you add credit to your phone account before spending it through phone calls, data, texts, etc. Phone network providers in New Zealand offer multiple options to spend your credit on bundles. Alternatively, you can spend your credit at a flat rate per text message, per minute or per mb. Unlike contract phone plans, you will not receive a bill at the end of the month to pay for your usage. For an in-depth comparison, read What are the Best Phone Networks in New Zealand. Prepay Plans can be set up in only a few minutes. Insert your SIM card into your phone and call a free number. Wait a few minutes for a robot to do its thing and, “voila”, you are set up. You can now add credit to your account and be connected on the go. Make sure that your phone from home works with New Zealand SIM cards by following the advice in Will Your Phone Work in New Zealand? Done! Repeat next month when your reminder text pops up. Most cellphone companies have plenty of options from bundles (also known as “combos” or “value packs”) that last a week or a month, to “pay as you go” that lasts until your credit runs out. “Pay as you go” is the simplest option where you will pay a set rate for each minute, text and data used. Bundles, however, are better value for money if you use your phone a lot. There is a bundle to suit every need from bundles with heaps of data and almost no call minutes to ones with several hundred minutes of calling and little-to-no data. Each cell phone company in New Zealand has 3+ options for you. Additionally, because no two months are the same, so you can even complement your bundles with “add-ons” or “extras” if you need a little extra minutes/texts/data that month. Without a contract, Prepay Plans are the perfect option for those that do not know how long they want to stay in New Zealand. You can stop your prepay plan at any time or even simply pause it and keep your number. You can even add more to it at any time with an add-on. No strings attached, no contracts, you are in charge! While the main network providers, Spark, Vodafone and 2Degrees, have similar price points on their prepay plans, there are other smaller carriers (see Cellphone Networks in New Zealand) with big competition between carriers over Prepay customers. For these smaller networks (that rent towers from Spark/2Degrees so have similar coverage) they change their offers regularly offering more for less. You will find that Prepay plans represent a great value for money, often cheaper than contracts. Another great advantage of Prepay Plans is that you have no chance to receive a nasty expensive bill at the end of the month. You will only be able to spend the credit that you have on your account. 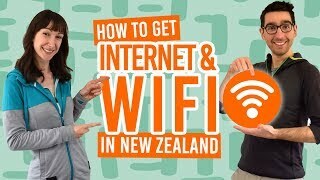 The Cellphone Networks in New Zealand covers a vast majority of the population and offers great internet connectivity with 4G being present is many places in the country. Prepay plans give you an easy access to a world-class network so you can stay in touch with friends and family back home, as well as connect with people here in New Zealand. Leaving the country early? No need to stress about your 12 or 24 months cellphone contract, when you are on Prepay, simply remove the SIM card from your phone and discard it. There is nothing else to do to stop using your New Zealand phone number. That’s how easy it should be to terminate any contract. For more tips on things to do before leaving New Zealand, see our Checklist for Leaving New Zealand.